LOUISVILLE, KY – (June 9) – Paul McCartney has confirmed that he will, however reluctantly, heed medical advice to rest up just a bit longer to fully recuperate from the virus that forced the postponement of his recent dates in Japan and Korea. The Out There world tour will now resume July 5 in Albany, NY, and the June 14-26 shows in Lubbock, Dallas, New Orleans, Atlanta, Jacksonville, Nashville and Louisville have been rescheduled to October. Tickets for the June 26th show at KFC Yum! Center will been honored for the new date of Tuesday, October 28th. NEW, a global hit upon its release last year. The McCartney live experience is a once in a lifetime opportunity; in just three hours some of the greatest moments from the last 50 years of music are relived; music which for many has shaped the very soundtrack of their lives. The last decade has seen Paul and his band perform in a staggeringly impressive range of venues and locations, including outside the Coliseum in Rome, in Moscow’s Red Square, Buckingham Palace, at the White House, a free show in Mexico to over 400,000 people, and even broadcast live into Space! Featuring Paul’s band of the last 10+ years–Paul “Wix” Wickens (keyboards), Brian Ray (bass/guitar), Rusty Anderson (guitar) and Abe Laboriel Jr (drums)–the show never disappoints. The tour also uses state of the art technology and production to ensure the entire audience has the best possible experience. With massive screens, lasers, fireworks, unique video content and, of course, the best songs in the world, a Paul McCartney show is so much more than just an ordinary concert. Paul’s shows attract a multi generational audience from different backgrounds all brought together by his music. NEW YORK (AP) — Paul McCartney is on the mend after being treated for a virus that led him to cancel his tour in Japan. McCartney received treatment at a hospital in Tokyo, publicist Perri Cohen said in a statement Thursday. The former Beatle is expected to make a complete recovery and will be taking time to rest. McCartney cancelled his entire “Out There Japan Tour 2014” this week because of his illness. McCartney was also scheduled to perform at a Seoul stadium on May 28. It would have been his first concert in South Korea. McCartney, who turns 72 next month, “has been extremely moved by all the messages and well wishes he has received from fans all over the world,” the statement said. The tour is scheduled to resume next month in the United States. McCartney will play a handful of shows starting June 14 in Lubbock, Texas. 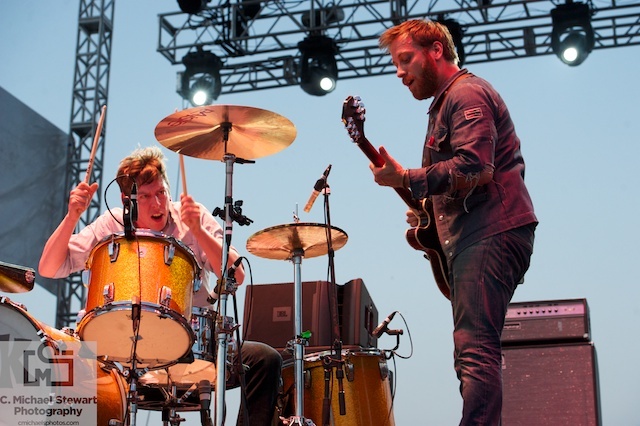 The Black Keys will embark on an extensive North American tour this fall. Promoted exclusively by Live Nation, the tour begins Sept. 5 in Columbus and includes a stop in Louisville, KY at KFC Yum! Center on Wednesday, September 10. Pre-sale tickets will be available beginning Tuesday, May 13 at 10:00 a.m. local time to all fans pre-ordering the album at http://www.theblackkeys.com and to Citi® cardmembers in the U.S. through Citi’s Private Pass® Program (www.citiprivatepass.com). Tickets go on-sale to the general public starting Friday, May 16 at 10:00 a.m. local time at Livenation.com, Ticketmaster.com, the KFC Yum! Center box office and all Ticketmaster locations. Charge by phone at 1.800.745.3000. The tour supports the duo’s highly anticipated new album, Turn Blue, which will be released May 13 on Nonesuch Records and is now streaming exclusively on iTunes. In celebration of the release, the band will return to Saturday Night Live for their third musical guest appearance this Saturday, May 10. 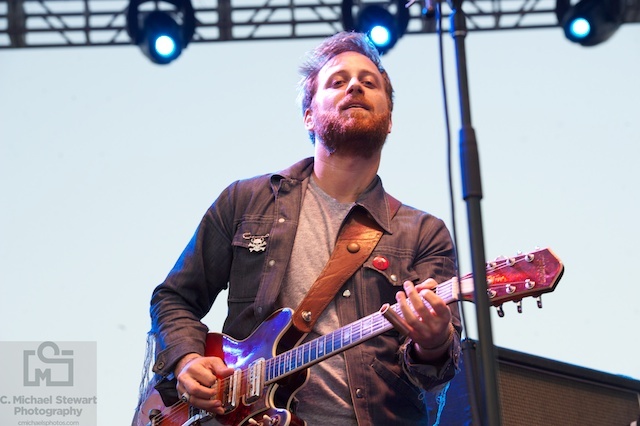 Produced by Danger Mouse, Dan Auerbach and Patrick Carney, Turn Blue comprises 11 new tracks, including the first single, “Fever,” which is currently #1 on AAA radio for the fourth straight week and #2 on Alternative radio. Additionally, the album’s title track recently premiered on Carney’s SiriusXM show, Serious Boredom, and can be heard here. Both songs are available as free instant downloads with album preorders at theblackkeys.com/turnblue; the LP, CD or digital version may also be ordered as part of ticket and T-shirt bundles at the band’s site. The songs are also on sale—alone or as free instant downloads with album preorders—on iTunes. This is the eighth full-length album from the duo and follows 2011’s critically and commercially acclaimed El Camino, which is now certified RIAA Platinum. Internationally, El Camino is Gold in Belgium, Spain, Italy and Holland; Platinum in Ireland, France and the U.K.; and double Platinum in Australia, Canada and New Zealand. The record also resulted in three awards at the 55th annual Grammy Awards—Best Rock Performance, Best Rock Song, and Best Rock Album. The band now has a total of six Grammy Awards including three in 2010 for their breakout, RIAA Platinum album, Brothers. Following an incredible 2013 which saw Paul McCartney’s Out There tour launch in Brazil and visit 23 cities across South America, Europe, North America and Japan, Paul has now confirmed two more very special shows on the 2014 U.S. Out There tour. The Out There tour, as always, features music from the most beloved catalog in popular music, as Paul performs songs spanning his entire career — as a solo artist, member of Wings and of course as a Beatle. The set list will also include material from Paul’s most recent studio album NEW, a global hit upon its release last year. The McCartney live experience is a once in a lifetime opportunity; in just three hours some of the greatest moments from the last 50 years of music are relived; music which for many has shaped the very soundtrack of their lives. The last decade has seen Paul and his band perform in a staggeringly impressive range of venues and locations, including outside the Coliseum in Rome, in Moscow’s Red Square, Buckingham Palace, at the White House, a free show in Mexico to over 400,000 people, and even broadcast live into Space! Featuring Paul’s band of the last 10+ years-Paul “Wix” Wickens (keyboards), Brian Ray (bass/guitar), Rusty Anderson (guitar) and Abe Laboriel Jr (drums) — the show never disappoints. 2014 got off to an incredible start for Paul as he set a personal career best by winning an incredible five GRAMMY Awards in one night. In the UK he was honored by music bible NME with a special one off award, the “Songwriter’s Songwriter Award” chosen for this unique accolade by his fellow peers. Tickets for the newly announced dates will be on sale Monday, May 5 at 10am local time. American Express® Card Members can purchase tickets before the general public beginning Thursday, May 1 at 10am through Sunday, May 4 at 10pm. Louisville, KY (January 28, 2014) – After more than three decades together, iconic rock ‘n roll band MÖTLEY CRÜE announced today The Final Tour and the band’s ultimate retirement. The announcement was solidified when the band signed a formal Cessation Of Touring Agreement, effective at the end of 2015, in front of global media in Los Angeles today. Celebrating the announcement of The Final Tour, the band will perform on ABC’s “Jimmy Kimmel Live” TONIGHT and will appear on “CBS This Morning” TOMORROW MORNING. The tour will make a stop in Louisville, KY at KFC Yum! Center on Tuesday, October 14 at 7:00pm. www.Ticketmaster.com, the KFC Yum! Center box office and all Ticketmaster outlets. Charge by phone at 800.745.3000. MÖTLEY CRÜE Fan Club members will get the exclusive first crack at tickets and VIP Packages, via a unique code, beginning on Thursday, January 30th starting at 10am local time. VIP ticket packages will be made available to the general public on Friday, January 31st at 10am local time. All tickets and packages can be obtained via Ticketmaster.com http://www.ticketmaster.com/Motley-Crue-tickets/artist/910417,LiveNation.com http://www.livenation.com/artists/41479/motley-crue, or via MotleyVIP.com. The Dodge brand is tearing into its centennial year with a keen eye focused on the future and a desire to create vehicles customers can’t wait to drive and are proud to park in their driveways. With 100 years of history, Dodge is building on the technological advancements of the ‘30s and ‘40s, design evolution of the ‘50s, the racing heritage of the ‘60s, the horsepower of the ‘70s, the efficiency of the ‘80s and unbelievable styling of the ‘90s as it paves the road to its future. New for 2014, the Dodge Durango “is kind of a big deal,” with a new eight-speed transmission that delivers up to 25 miles per gallon on the highway, a new 8.4-inch Uconnect Touch infotainment center and best-in-class power, towing and fuel economy, in addition to its class-exclusive technology. The new Durango joins the new 2014 Dodge Dart with its new 2.4-liter Tigershark engine, as well as the 2014 Avenger, Challenger, Charger, Journey and a 30th Anniversary Grand Caravan. This 2014 Dodge lineup includes five Insurance Institute for Highway Safety (IIHS) Top Safety picks and Top Safety Pick +, five vehicles with best-in-class power, seven vehicles that deliver 25 miles per gallon (mpg) or higher, three vehicles that deliver 31 mpg or higher and three vehicles that offer seating for seven. Alice Cooper is a true rock icon, having pioneered the use of theatrics and shocking images onstage in concerts from the earliest days of the original band of the same name. Since going solo, he has continued to produce elaborate stage shows providing fans with both shock and rock of the highest caliber. Inducted into the Rock N Roll Hall of Fame in 2011, Alice has toured and recorded continuously, with his most recent album being Welcome 2 My Nightmare. Recorded with longtime collaborator Bob Ezrin, who produced the original ground breaking, multi-platinum Welcome To My Nightmare album in 1975, the album picks up right where they left off, with Alice trapped in his own warped mind. Alice’s catalog of hits and anthems, including “I’m Eighteen,” “No More Mr Nice Guy,” School’s Out,” “Elected,” “Poison,” and others, are included in his current “Raise The Dead” show, which also features his musical tribute to his fallen friends John Lennon, Keith Moon, Jim Morrison and Jimi Hendrix. Currently, Alice’s touring band features the three guitar attack of Orianthi, Tommy Henriksen and Ryan Roxie, backed by bassist Chuck Garric and drummer Glen Sobel. Additionally, “Nights With Alice Cooper,” Alice’s nightly radio show, is available in nearly 100 cities in the USA, Canada, Australia, and the UK. The show features his favorite classic rock songs along with his insider anecdotes about many of the artists. At the helm of the independent Big Machine Label Group is industry veteran Scott Borchetta, who serves as President and CEO. The conglomerate encompasses Big Machine Records (founded in 2005), The Valory Music Co. (founded in 2007) and Republic Nashville (a partnership with Universal Republic founded in 2009 with Jimmy Harnen serving as President). The Big Machine Label Group’s current artist roster includes Multi-Platinum superstars Taylor Swift, Rascal Flatts, Tim McGraw and Reba; Platinum sensations The Band Perry and Florida Georgia Line; Legendary group The Mavericks; Gold-selling artists Brantley Gilbert and Justin Moore; Chart-topping act Eli Young Band as well as Hot newcomers Thomas Rhett, Cassadee Pope, RaeLynn, Laura Bell Bundy, The Cadillac Three and Danielle Bradbery, in addition to soundtracks for ABC’s hit drama “NASHVILLE.” BMLG artists have received multiple GRAMMY, CMA, ACM, American Music Awards, CMT Music Awards, Teen Choice Awards, MTV Video Music Award and People’s Choice Award accolades as well as Brit Award and JUNO Award nominations. In 2012 BMLG rejuvenated its publishing arm with Big Machine Music, which has created a joint venture with Lukasz “Dr. Luke” Gottwald’s Prescription Songs, allowing the two companies to co-publish songwriters and artists whose unique talents translate across genres. Big Machine was also the first-ever label to align with terrestrial radio for performance royalty rights. The label group has also forayed into the racing world, sponsoring the Brickyard 400 as well as back-to-back Indy500 drivers. Jeff Tremaine, along with Spike Jonze and Johnny Knoxville, created jackass, a television series that became a cultural phenomenon, spawning the franchise of hits: jackass: the movie, jackass number two and jackass 3D, which were all #1 at the box office. Beyond jackass, Tremaine created and executive produced a number of television series, including MTV’s Wildboyz, Rob & Big, Nitro Circus, Rob Dyrdek’s Fantasy Factory, Ridiculousness, and the Adult Swim series, Loiter Squad. He has also directed and produced a number of music videos and documentaries. Most recently, Tremaine directed “Jackass Presents: Bad Grandpa”, another #1 box office hit, which was released by Paramount Pictures on October 25th, 2013. – Grammy Award®-winning band Arcade Fire announced the REFLEKTOR TOUR in support of their international #1 album, Reflektor (Merge). The REFLEKTOR TOUR will kick off on Thursday, March 6, 2014 in Louisville, KY at the KFC Yum! Center. The Live Nation produced tour will take the band to 27 cities throughout North America. Tickets, $60.50 General Admission Floor and $60.50, $46.00 and $30.50 Reserved seats, go on sale to the public at 10:00am on Friday, November 22 at Livenation.com,Ticketmaster.com, the KFC Yum! Center box office and all Ticketmaster outlets. Charge by phone 1.800.745.3000. Released October 29, Reflektor was hailed by Rolling Stone as “extraordinary…the best album Arcade Fire have ever made.” It was the second Arcade Fire album to debut at #1, the first being 2010’s Album of the Year Grammy Award®-winner The Suburbs. The band’s appearance on the 39th season premiere of Saturday Night Live was followed by the band’s own half-hour special, Here Comes The Night Time, directed by Roman Coppola and featuring Arcade Fire live performances and cameos from Aziz Ansari, Bono, Michael Cera, Zach Galifianakis, Bill Hader, Ben Stiller, Rainn Wilson and more.